By organizing daily activities throughout the week “Sol Latino” offers the students a great way to enjoy some of the beautiful places surrounding Quetzaltenango. These activities are also a way to expand the students’ knowledge of the local Latin culture and their knowledge of the language. Participation in the activities will enrich your studies and allow you to obtain a more diverse learning experience. 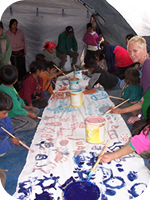 Activities are a part of total immersion, of learning the language, and of learning about the Latin culture. Direct participation by our students enriches their education and enables them to enjoy a unique experience. Each week we offer our students a new schedule of daily activities. For example, one week might include a conference about Latin culture and history, a visit to a Mayan town where time stands still, hiking, sports activities, dinners, celebrations of special occasions and holidays, cooking classes, conversational clubs, dance classes, films, games, visits to local hot springs, museums, churches, and, of course, the chance to visit the social projects which we support. We make visits to the social projects in and near Quetzaltenango, as well as participate in special activities that these projects create. These vary from activities with children in rural areas, to educational activities, planting trees, reforesting the country, collection of medical materials, and medical day-work, to name a few. Almolonga, Zunil, Salcaja, San Andrés Xecul, Momostenango, San Francisco el Alto, Chichicastenango, and many others. 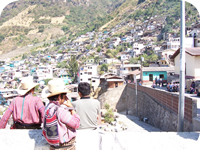 Every week we visit a town near Quetzaltenango. You will get to know these treasures with their diversity, history and the present social situation. The towns differ from each other in local languages, traditions, clothing, agriculture and topography. In addition, each town has its own day for its traditional market. This is always very interesting for visitors and at the same time you can enjoy the cultural sights of Guatemala. All this makes for a wonderful experience. 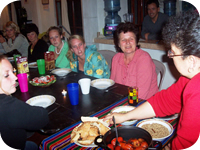 Typical dinners, international dinners, cooking classes, and the celebration of special days. This is a good opportunity to learn to cook, and to savor and enjoy the traditional food of Guatemala and other countries. You can share your cooking experiences with students and teachers. At the same time you can listen to music, dance and chat. In addition, special celebrations are held at various times of the year to learn more about our history and culture and enjoy the Latin atmosphere. We offer/give lessons in salsa, meringue, bachata, and Latin aerobics to our students with professional instructors from the local dance academies. These are generally offered once a week. The city has many places where you will be able to share and practice what you have learned, all while enjoying the Latin atmosphere. Basketball, soccer, cycling, long walks, group conversational clubs, and more. This is a good way to share with other students, teachers and locals while getting some exercise outdoors. 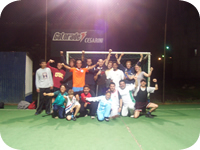 It is not necessary that you excel at sports, all you need is good energy and to have fun!